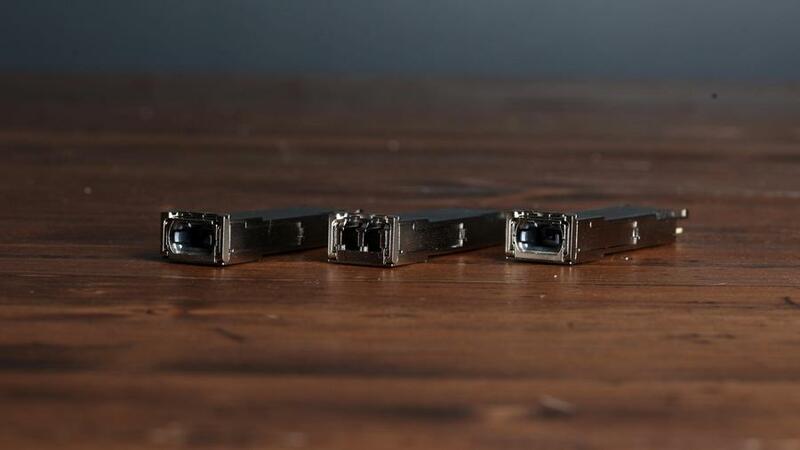 What Are The Different Types of QSFP+ (40GB) Transceivers & How Do They Work? There’s been a rapid evolution of gigabit ethernet and a growing demand for equipment that handles this advancement. Data centers are now migrating to blazing fast 40G, and QSFP+ transceivers as a necessary component in making sure high speed internet stays high speed. QSFP+ stands for Quad Small Form-Factor Pluggable Plus. A parallel and hot-swappable fiber optical module that provides high-density 40G connectivity options for high-performance computing networks and modern data centers. It has four independent receive and transmit optical channels that can terminate to another 40G QSFP+ transceiver, or can be distributed to four separate 10 Gigabit SFP+ transceivers. The QSFP+ modules , in a nutshell, connect the entire electrical circuitry of your system to an optical external network. [Read more…] about What Are The Different Types of QSFP+ (40GB) Transceivers & How Do They Work?